All of the apartments at Les Valmonts de Vaujany offer guests the opportunity to enjoy the freedom of a self-catered holiday in Vaujany. Here guests will find a range of shops and restaurants, where they can enjoy warming hearty dishes, as well as French delicacies and some international options. There are also some small local shops where you can stock up on the essentials. Description: Résidence "Les Valmonts de Vaujany"
The residence of Valmonts de Vaujany is a perfect residence to enjoy a stay in the northern Alps. Close to the big ski area, enjoy your stay in a resort village of the most welcoming and pleasant while enjoying the benefits offered by a large area. 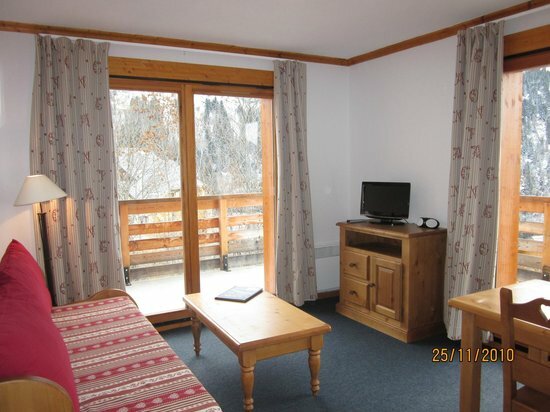 With its shops nearby, the residence of Valmonts de Vaujany has a very convenient position in the resort.